People tend to make snap judgments based on appearance alone. If you have stained or discolored teeth, you may look older than your years, and your smile may detract from rather than add to your overall appearance. You don’t have to live with yellow or brown-stained teeth, however. You can enjoy improved self-confidence and feel better about your smile thanks to a variety of teeth whitening products that are available today. In-office whitening products can include custom-made mouth trays and gels that you can take home and use in the privacy of your own home. These gels are stronger than those you can obtain over the counter, and the custom-fit design of the tray ensures less contact with sensitive soft tissues of the mouth. Zoom! whitening is another in-office procedure. Zoom! uses a combination of peroxide gel that is painted directly onto your teeth and a special light that activates the gel so that it can penetrate deep within the enamel. Zoom! can whiten your teeth as much as eight shades in less than an hour. Not all whitening products are appropriate for all types of stains. Intrinsic stains, or those caused by medications or internal factors, may not be improved by topical whitening products. 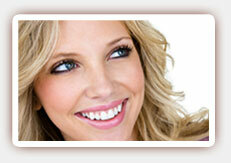 Our dentist can discuss your whitening options with you, which may include dental veneers. Veneers are a porcelain shell that fits directly over the top of your teeth to improve their appearance. 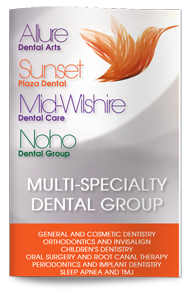 Contact our West Hollywood cosmetic dentist today to learn more about your whitening options or to schedule your consultation.